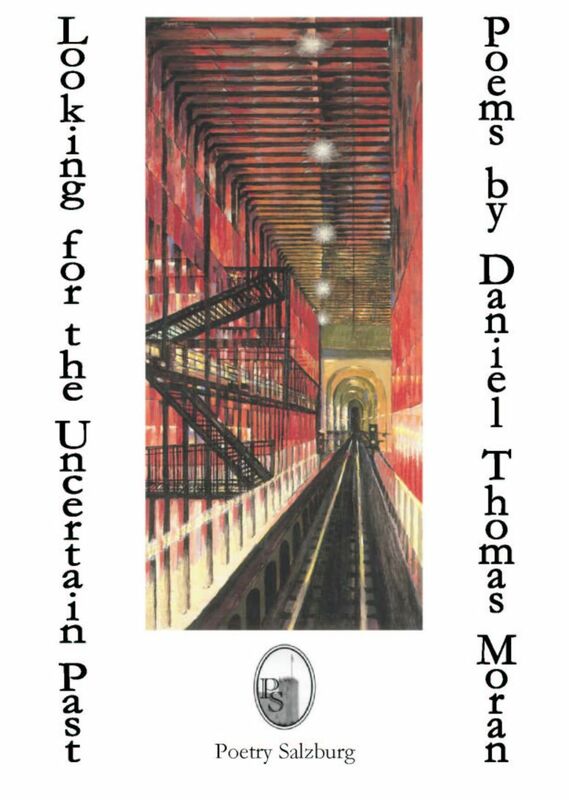 "Looking for the Uncertain Past is a collection of poems that shows Daniel Thomas Moran, Poet Laureate of Suffolk County, New York, to be a writer very much in the modern American, William Carlos Williams tradition. His poetry is appealing and pleasurable, not laborious, to read. It is accessible in its ironies and profundities and very much concerned with close observance of everyday life. [...] Moran's poetry talks with sardonic wit and sensitive spirit without sending us puzzling away from its lively clarities. A sharp intellect is also at work in these writings, an eye for absurdity as well as for the splendors in the everyday. [...] Moran's poems proceed naturally without contrivance, and the ironies pointed out often strike us as witty afterthoughts. Yet, we catch our breath and grieve or laugh with the poet in unison with his compas-sionate humor. His writing is both sensitive and muscular and divulges the mind of a rational observer who does not miss nuance and cannot be fooled by artifice." "Looking for the Uncertain Past shows that Mr. Moran is still at the top of his game. [...] He writes touchingly about what John Cheever has called 'the pain and the sweetness of life.' Mr. Moran is playful, lyrical, thoughtful, and sometimes profound in this delightful collection." Fred Volkmer, "Moran's Voice in 2 Poetry Roles", The Southhampton Press 15 February 2007. "[...] There are some excellent poems here - such as the beautiful 'Opus 75', for that neglected master Samuel Menashe, underivatively echoic of the older poet's manner and characteristic subject, or the powerful, poised elegy on the fine jazz singer Susannah McCorkle after her suicide in 2001. Very different in tone, but equally accomplished, are the witty (and pointed) quatrains of 'White on Rice' - the 'Rice' of the title being Condoleeza Rice. Amongst a number of assured love poems is 'Light and Line and Lightness', a minor masterpiece of affirmative tenderness. [...] Moran's is a distinctive, very American, voice which deserves an attentive hearing." Elizabeth Heywood, "The Eternal Jar, a Life Outside the Text and a Sunday Omelette", Acumen 57 (January 2007), 99-100. "These poems are enjoyable because none of them are at all 'dry' and uninteresting. They're carefully crafted [...] all thoroughly accessible. Moran is not frightened to laugh at himself and this is tremendous, lucid, solid stuff. A wide range of subjects and concerns. I hope this book is readily available to all who would like it."